In my previous article I built a C# library to communicate with the GPIO ports of the Raspberry Pi 2 (and Raspberry Pi B+). We also built a small console application to trigger the ports. While the console application was a nice proof of concept, the real fun is when you are able to flip switches from remote locations (when not at home, over phone etc. etc.) As a first attempt at this I built a OWIN based self hosting web site that communicates with the Pi over HTTP using SignalR. 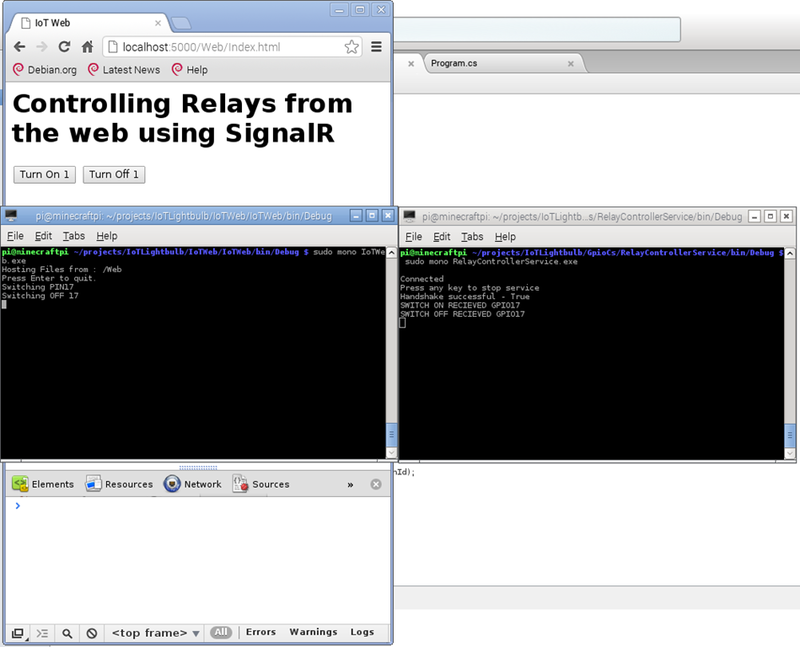 The idea is pretty simple, the GPIOManager is embedded into a Console application that is also a SignalR client. The SignalR client has SwitchOn, SwitchOff methods taking GPIOPinIds as parameters and call upon the GPIOManager to do so. 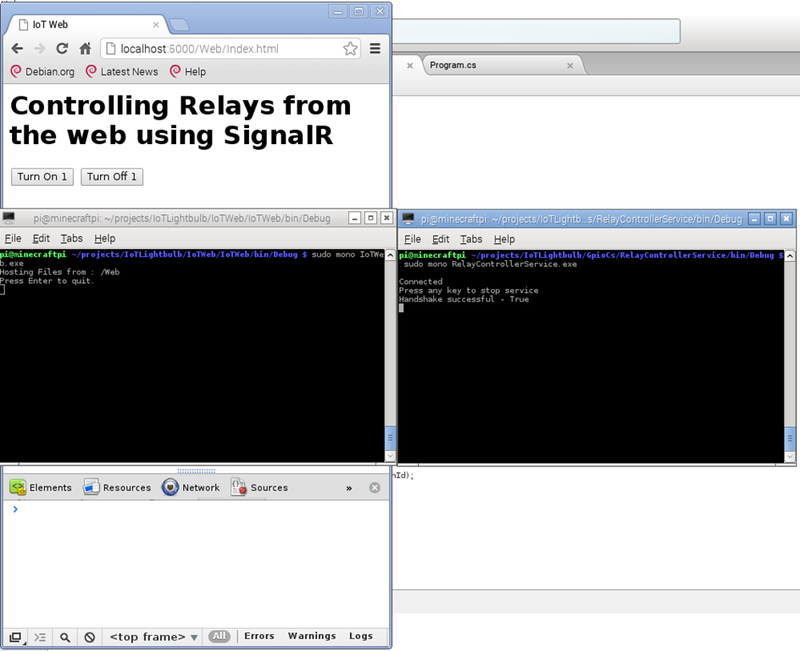 Any web application can host the SignalR Hub and a SignalR web client. The web client relays the actions to the remote client. Simple! In reality I built the sample app first and then did the refactoring but now that the code is already refactored might as well mention it beforehand. – Created a new Github account http://www.github.com/piothings. As you can guess from the namespaces the refactoring involved separating the helper classes into a separate DLL. This is because I wanted to refer the utility enumerations on the Web application but the web application didn’t need the manager. So now you can install the Core which has the manager and it will install GpioUtils automatically. Or if you want the Utils only, just install the PiOfThingsUtils directly. With all the refactoring in place, we are not ready to take the next step. Added a new class called IoTHub that inherit from Microsoft.AspNet.SignalR.Hub. Added a method Handshake that simply returns true. This is for the client to check if the server is there or not when it starts off. Next we add two methods switchOn and switchOff, both take the GpioId as input parameter. All that this method does is calls the switchOff or switchOn function on all other clients. We add new class called IoTStartup and add decorate it with the OwinStartup attribute. Next we add a method Configuration with an input parameter of type IAppBuilder. A function with an input parameter of type IAppBuilder is the standard convention for chaining OWIN components. We are using the WebApp to host all other OWIN components. The WebApp is hosted at the provided URL (localhost:5000) We could have used SignalR self hosting too, but you’ll see in a minute why I used Web App. 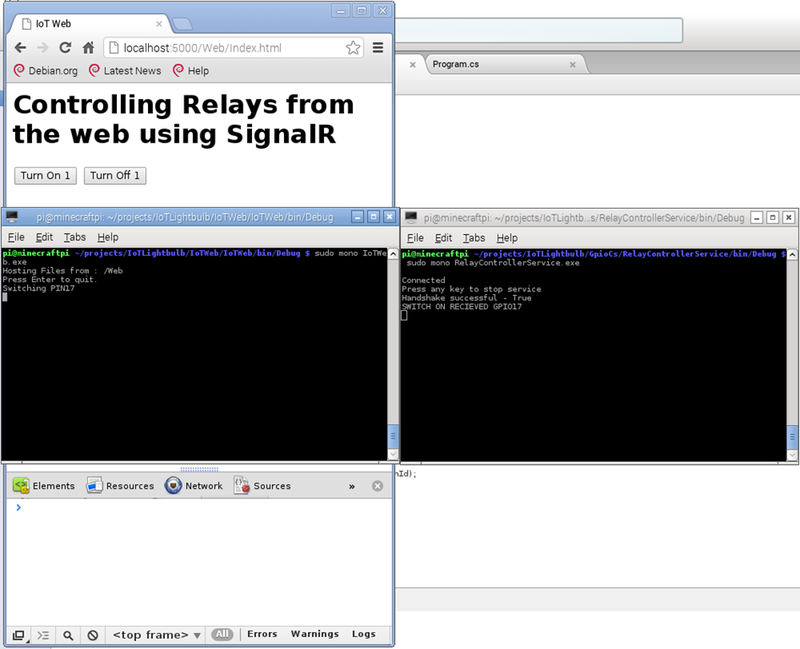 Great, we have a SignalR hub that can issue commands. Now we need two things, a UI to issue the commands and a client connected to this hub to receive those commands. Let set these up. 1. 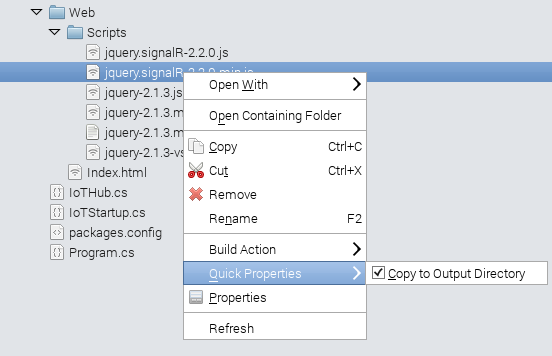 Update the jQuery dependency (you got from installing the Microsoft.AspNet.SignalR.JS) from 1.6.4 to the latest using Update package feature of Mono from the solution itself. – Initialized the hub and once the connection started attached a click handler to each button. 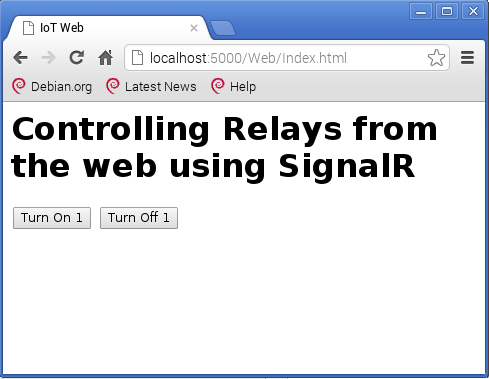 Create a SignalR HubProxy, a GpioManager and establish a connection with the SignalR server. Once setup it does the handshake and then wait for commands from the server. When it receives SwitchOn or SwitchOff command, it uses the GpioManager to write to the appropriate GPIO pin. Now that we are all set, let’s look at the code for the RelayControllerService. We are setting up our service by initializing the GpioManager, ProxyHub and HubConnection. We are also assigning an event handler for the SwitchOn and SwitchOff events that will be invoked someone clicks on the buttons on our website. The event handlers have the same code from our previous sample console application. Whenever a switchOn or switchOff is received, we first check if the _manager’s current pin is the same as the pin requested, if not it is selected. Once selected we write the Low or High appropriately. Our service is setup and ready to provide event handlers. All we have to do is start connection and wait for server. Also when user wishes they can stop the connection. 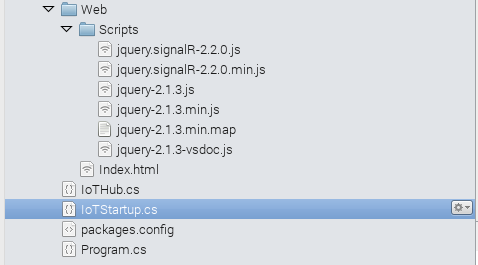 The StartConnection creates an async task that attempts to connect to the server. Once connected to the server is calls our HandShake method and reports that the Handshake was successful. In future the Handshake will be more involved with the device sending specific device identifiers to the server so that the server can keep track of which device is connected and connect to that particular device only. The StopConnection simply calls the GpioManager’s Release all function to release all the GPIO pins and then calls a SignalR Stop to gracefully close the connection. If you had the relay circuitry setup as shown in my previous article, the LED would have gone bright red and the relay clicked. Now click on the Turn Off 1 button and the service should respond accordingly. And we are done for today !!! We stepped up from connecting to GPIO from the console to connecting using a Web page. So we are one step closer to the ‘Internet’ in ‘Internet of Things’. From here on, how you want to build your service to be able to connect to your Pi is entirely up to you. I’ll keep you posted with my progress! Cheers! Some of you may have spotted my previous experiments with the $35 wonder computer that’s the Raspberry Pi. I have since then added two more Raspberry Pies to my collection. One goes into the amazeballs Diddyborg (by @Pi_Borg) and the other one is a the latest and greatest Raspberry Pi 2 bought on the day of launch in early February. The Diddyborg is nice kit created by PiBorg.org. It showcases their motor controller which can control 6-8 motors at a time per controller. It also has the ‘batt bot’ board included which works towards prolonging the battery life for the Diddborg. It comes with a bunch of sample programs like ball follow that uses optical image recognition via the Pi Camera module. It was a nice fun project that I did with junior over Christmas. I also ended up doing a small keyboard driver using python for it. The current code for it is up here (not the best Python ever written, you have been warned). There are lots of experiments planned with it, but that’s for another day. I have been sitting on the sidelines of the Internet of Things (IoT) buzz for a while now and waiting for the ‘right moment’. Apparently the trigger was launch of the rather capable Raspberry Pi 2 early in February this year. With the bump in spec to a Quad Core 900MHz processor with 1 Gig of RAM, the Raspi 2 is about as capable as mid-market contemporary smartphone. At 25GBP it’s a steal!!! Along with the Pi I bought a microcontroller controlled 8 relay board. Idea was to toggle lightbulbs on/off from my phone . There are ready made kits, ready made bulbs already in the market. So it’s not ground breaking, but hey, where’s the fun in that right! 1. Raspberry Pi 2 + Power Supply + 16Gig SD card (went big assuming Win IoT would be a massive hog). 2. 5V 10A, 8 Relay microcontroller board by Anoder. The relays are not opto-coupler (aka solid state relays) and are ON when low meaning the connection is ON without any input. You have to provide an input to turn it off. This is good in a way that you can expect your lights to remain on (and in control of the mains switch) if your Pi crashes. However it also means while programming it, you have to send in a 1 to turn it off and 0 to turn it on. Kinda reversed! 3. 40 pin Female-Female jumper cables. 4. Optionally I bought a breadboard and a bunch of breadboard connection wires. After untold warnings on the internet about not working on mains power I decided to heed to people’s warning and play with my LED Christmas lights that already had a 220 – 12V step down. (NOTE: I am not a certified electrical engineer in UK, but I DO know my way around electrical boards, supplies and wiring and have had enough ‘shocking’ experiences as a kid to not treat 240V mains supply lightly). So this blog will not show you stuff beyond driving the relay. What you connect to the other side of the relay is up to you. I used a Christmas light that works off a 5V DC supply provided by a built in control unit. To run this code you don’t need anything on the other end of the relays. You can hear the Relays click quite distinctly and there is an indicator LED that will also give you ample hint that the relays are working. The board on the left is a not-to-scale representation of the Raspberry Pi 2 as seen from the CPU side. 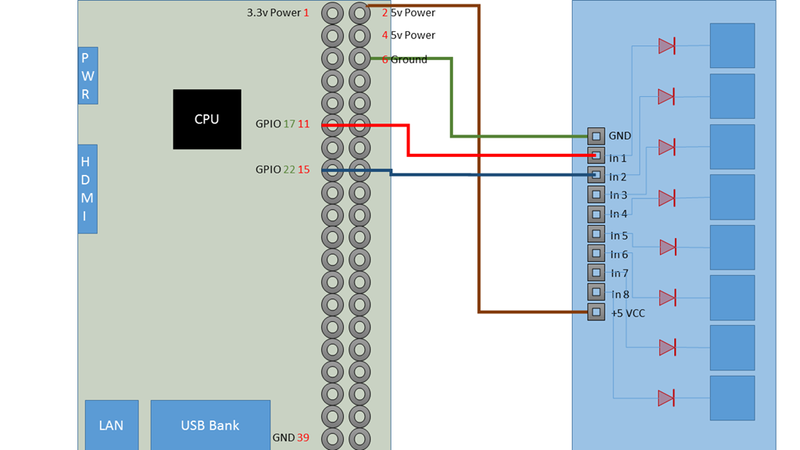 The GPIO ports take up more space on my diagram than in the actual board, but you get the point. I have only labeled some of the pins to keep the diagram clean (actually to get it done quickly enough). Here is a complete pin out if you need one handy! Like the Pi board, the Relay board diagram is representative and not to scale too. The blue boxes are the relays and the Red diode symbols represent the LEDs on board. IO Pin 2 is what is powering the relay controller. So it’s connected to the VCC pin of the Relay board (Brown wire on my connector strip). IO Pin 11 represents GPIO 17 (blame Broadwell the CPU makers for the weirdness in numbering schemes). A 0 or 1 to GPIO 17 will drive the first relay hence it’s connected to In 1 on the relay board using the red wire from the connector strip. IO Pin 15 represent GPIO 22. I’ve connected it to In 2 on the relay board using the blue wire from the connector strip. That covers the wiring between the Pi and the Relay board. To test the controller board out, I first tried a sample Python program. The source is here. As you can see it’s pretty rudimentary but it did what it was asked to do. Switch the lights off for 20 seconds. But I wanted more. I wanted to direct the GPIO ports over the web. I tried reading up on making web services in Python and realized there wasn’t a quick way out. 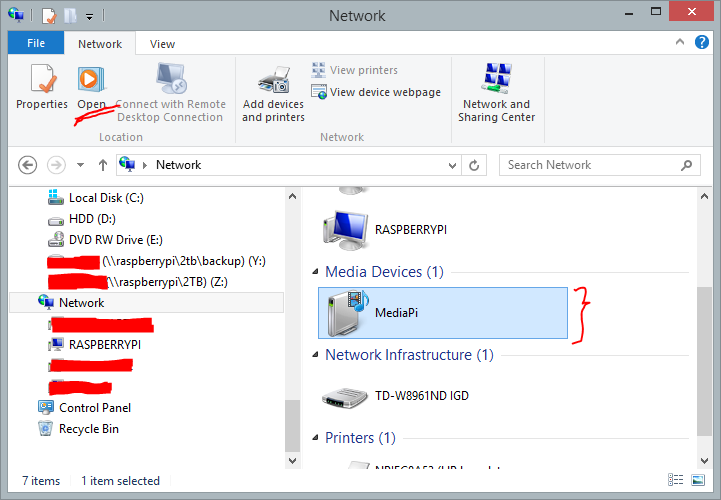 That’s when I came across Jan Tielens’ excellent series on getting started with .NET on Raspberry Pi. 4. Next add repository reference to apt-get. This is where the mono-repositories are (two repository references). 5. Repeat step 1 and 2 to make sure all dependencies are in place. 7. Install MonoDevelop (for on Pi development)! A lot of people develop on Visual Studio and deploy on the Pi. But MonoDevelop is a very capable IDE and I wanted to develop on device. So I opted to use MonoDevelop for my Pi development. Once I had C# running on Pi, the world was my oyster. I realized how brave a path Miguel Icaza had blazed when he started the Mono project. I am no OSS fanatic, but I am no shill either. Heartfelt thanks to the Mono Team for sticking around against lots and lots of odds. Yes, now I believe you guys love C# more than Microsoft itself does! Once I had C# going, I followed some more of Jan’s tutorials to see how you could communicate with GPIO pins. Turns out the GPIO port is registered as a folder (like most devices on Linux), and all I had to do was write appropriate ‘text’ to appropriate files in assorted folder. Since this all sounded very easy I assumed someone had already done the hard work. Indeed there are two nice libraries on Github. However when I tried to use RaspberryGPIOManager I found it was locking itself up (on the Raspberry Pi 2). So my friend Raj and I got busy following Jan’s tutorial and write the code ourselves. Sure enough, Raj had the code going in about 45 minutes and were were able to talk to one of the GPIO ports and do the same thing the Python program was doing. Next day I sat down and wrote up a rudimentary library in line with RaspberryGPIOManager and now it’s a neat reusable component. Okay, enough rambling, time to see some code. The GPIO Manager project has two files GPIOManager.cs which is the actual driver and GPIOPinReferences.cs a bunch of helpers and enumerations. This file has two static classes and two enums. The GPIOPinState enum does what it says, encapsulates the Pin statuses which is essentially 0 or 1 with 3 indicating error/unknown condition. The second enum called GPIOId maps directly to the pin numbers on the Raspberry Pi 2 (or B+) I/O port. GPIOUnknown is assigned the value -1 for any non GPIO pins. Next we have a helper class that maintains two dictionaries of pin number-to-port and port-to-pin number. Two static methods help you get the appropriate values out of the dictionaries depending on what you are looking for (pin number or GPIO id). A GPIO pin like any digital connection can represent either 0 or 1. ‘Talking’, ‘connecting’, ‘sending signal’ or ‘communicating’ to a GPIO port simply means you are either reading values (0 or 1) or writing values (0 or 1). Since the Linux OS represents the I/O ports as streams you can using any File System based APIs and a direct your output to specific folders to write to appropriate files. This destination can be used to write “0” or “1” for sending low or high signals to the pin. To read, you use the same destination but instead of Writing to it, you read from it using FileSystem. Before you can communicate with a particular pin you need to make sure no one else is communicating with it, so you should try to ‘Reserve’ the pin and then set “Direction” of communication. Again all this can be done by writing appropriate values to the ports via the file system. I’ll break up the actual code into the above mentioned calls. You can refer to the entire thing together on Github. The GPIOManager has a readonly GPIO_ROOT_DIR folder that can be passed in the constructor if you want to mock the PI and run the manager when the actual GPIO pins are not available. The Manager has an internal list of Pins that have been selected and hence are busy. Note the Manager is not a singleton so this list may not be the single source of truth on the Pi. You call the SelectPin method and provide the GPIOId identifying the pin that needs to be selected. If successful, the CurrentPin property on GPIOManager is set to the pin you requested for, else it throws an exception. The private call to ReservePin function is what actually selects the Pin. All it does is writes to the ‘export’ stream, value of the Pin that’s selected. Once you have Selected a pin you can write to the pin using the WriteToPin call. As you can see the WriteToPin call is essentially creating a File handle using the Fire.WriteAllText helper and first setting the Direction in the ‘direction’ stream. Next writing the actual value (0 or 1) to the ‘value/[pin]’ stream. Similarly if you are reading from the GPIOPin, after you have selected the pin you use the ReadFromPin API. ReadFromPin API again uses the File handle at the ‘value/[pin]’ stream and reads the value, that is either “0” or “1” and returns the appropriate GPIOPinState value. Once Read/Write operation is done you have to Release the pin by calling the ReleasePin API, that needs the GPIOId of the pin you want to release. There is a helper method that Releases the CurrentPin selected. That completes our GPIOManager API. Lets write a sample to use it. I added a simple console project to the mix and wrote the following in the Program.cs’ main function. All it does is sends a Low on GPIO pin 17 and 22 and waits for a ‘return’ on the console. Once you hit return it cleans up by releasing the pins and exits. In my case this flips on the first and second relays. So even if you don’t have anything connected to the relays you’ll hear them ‘click’ on and off. The LED indicator on the board for each relay will glow as well. With this simple code we have opened up a plethora of opportunities for us. 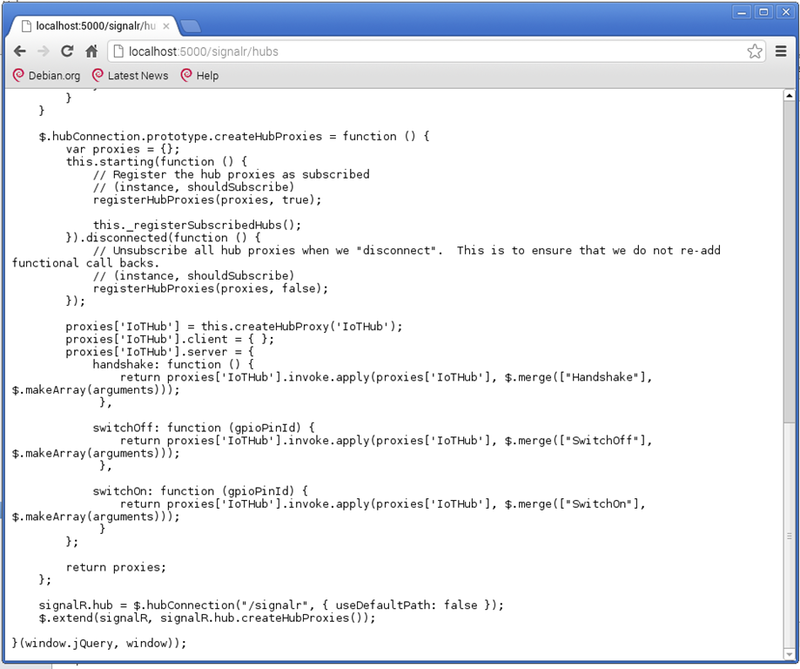 Next step would be to bundle the code inside a service and then respond to web requests. My idea is to make the service a SignalR client that will connect to a CnC server on the Web/Cloud. The CnC server will have a Web interface allowing you to switch each relay on or off. Now once you connect the relays to appropriate electrical devices you are good to control those devices from the web. 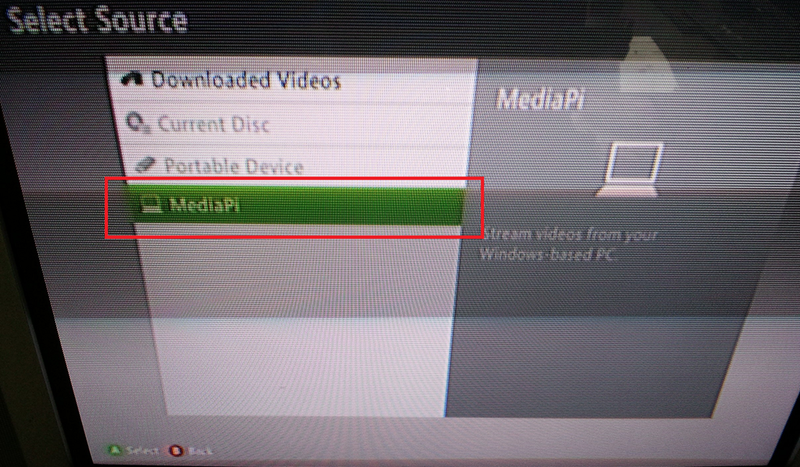 Previously I have blogged about how I converted my Raspberry Pi into a DLNA Media Server. When we moved to UK I brought along my media server and it was up in a jiffy. 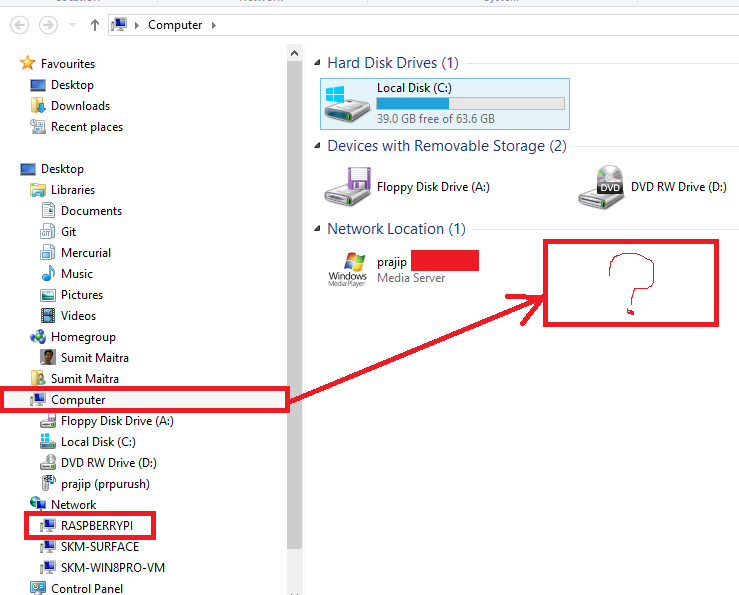 However, yesterday, when I sat down to build my long pending Windows 8 Media Client on my rebuilt Windows 8 VM, it simply wouldn’t show the MediaPi (name of my Media Server) when I selected ‘Computer’ in Windows Explorer. But if you see, the machine was on the Network (RASPBERRYPI). Why is this important? If Windows Explorer is not showing the Media server, the above API will not return it either. 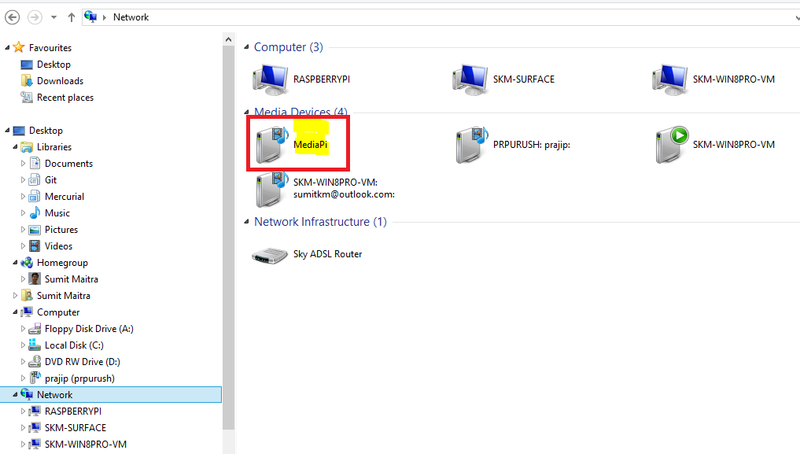 Twist in the tale was that the Media server was visible when I selected the ‘Network’ node in Explorer. 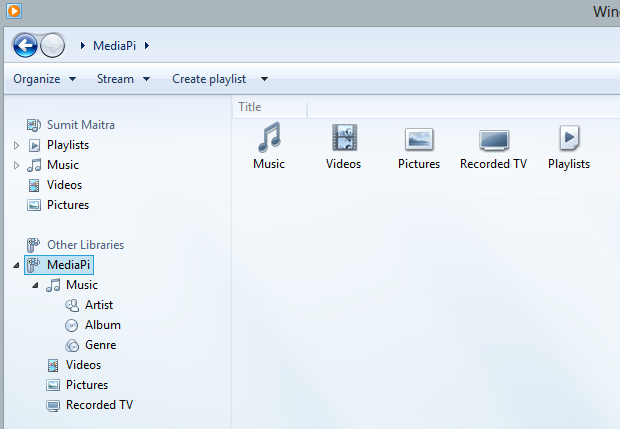 To make things more confusing, when I started Windows Media Explorer, the MediaPI came up there too. This kind of scenario is pretty much a disaster because it’s nearly impossible to search for. So first I posted in on Windows Forum, but continued fiddling around. Finally I found a solution. 2. When I selected ‘Devices’ and I saw MediaPi but it had an ‘offline’ label. So I selected it and clicked on the (-) icon on the top right corner. This removed the Device. 3. 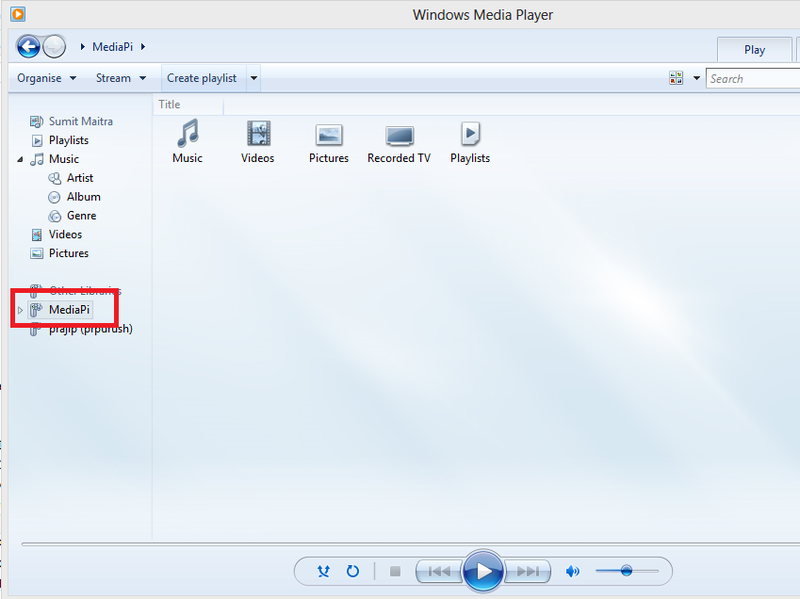 Next I started Windows Explorer again and Clicked on ‘Access media’->’Connect to a media server’. 4. 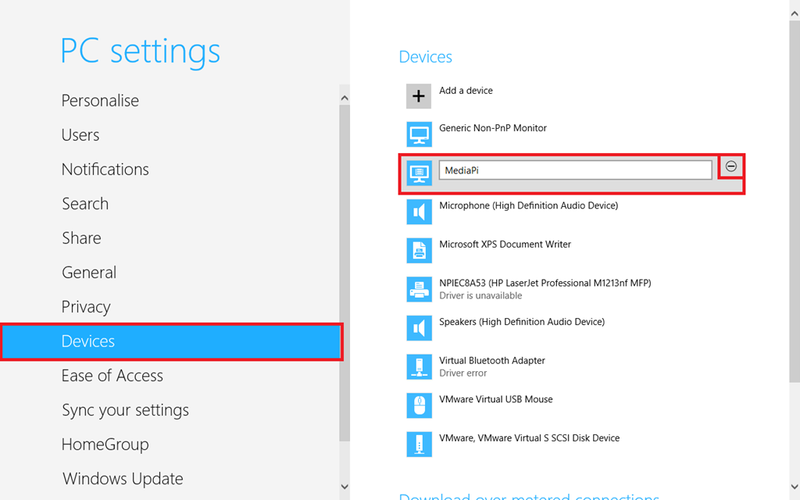 Windows found the MediaPi device and listed it in the Search Dialog. I selected it and clicked ‘Next’, Windows said it’s installing the ‘Required Files’ and once it was done, I could see the Media Server again. I put the same solution back in Forum question as well. 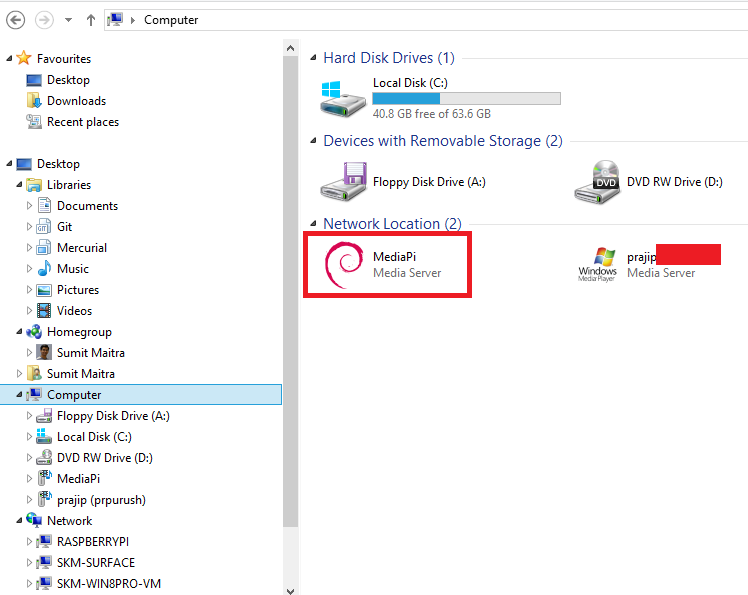 In my previous article I had mentioned how I setup a Samba based file server using my Raspberry PI to share media across my computers in my home network. It works fine, but still it’s not really streaming the media and I figured out that I still couldn’t use my media via the XBox because XBox doesn’t work with Network shares unless they are over UPnP. So the next quest was to setup a UPnP server on my Pi. Turned out to be really easy thanks to MiniDLNA. This article has all the steps if you need Samba+Transmission (Torrent Client)+OpenDNS. While updating the minidlna.conf file you have the option of specifying Video/Music/Pictures folders. I already had my media split up in those categories so I used those configurations. Once you are done reloading, give it about 5 minutes, yeah, walk away from your terminal. After MiniDLNA is done scanning the folders are you good to go. 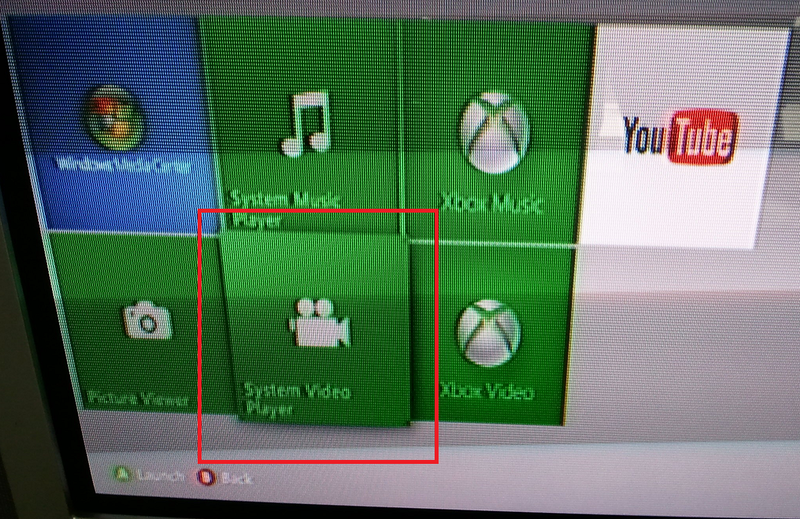 Just start your ‘System Video Player’ App (NOT XBox Video). Well iOS doesn’t recognize UPnP and DLNA devices out of the box. But fear not, there is an ‘app for that’. Yeah, cliché I know. Most app players cost a bit of money, but I found ‘Fresh Player’ to be a usable application. Interestingly I can’t connect to the MediaPi at the moment with it, so it may not be the most ‘reliable’. I’ll update once I find a decent player. Well, that’s a wrap for the day! Things you can do with this tiny $35 computer is simply amazing! The fun continues!